My family and I spent the long weekend in Vermont. Every year my aunt and uncle invite us to their cottage for Thanksgiving dinner. They provide us with an incredible meal, and we bring the pie. For years my parents rented a cottage that was just a few minutes away. 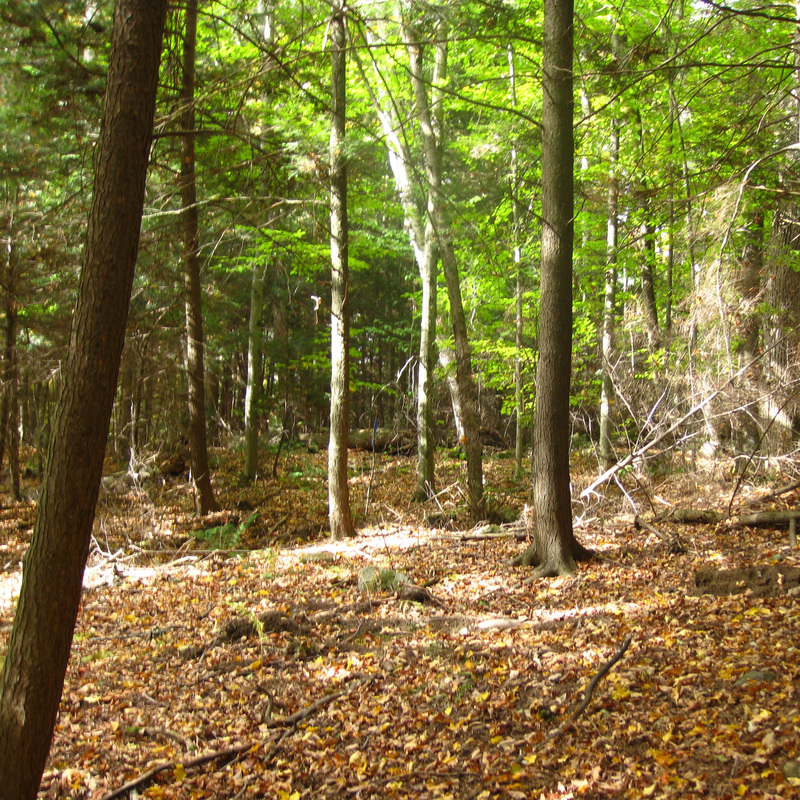 The area is surrounded by water and woods. My mom would often come back with chanterelle mushrooms. This year I decided to go with her, and before we new it we had a whole foraging party. 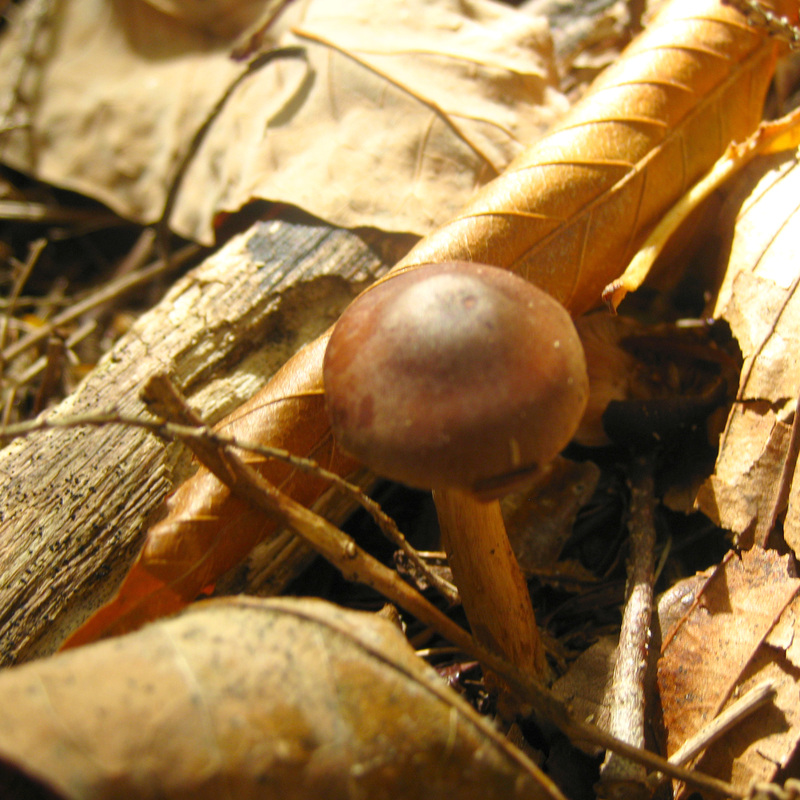 Foraging for mushrooms is sort of like looking at those pictures that look like nothing, but if you cross your eyes a certain way an image pops out at you. (Does anyone remember what those are called?) At first it seems like there is nothing there, but the next thing you know there are mushrooms everywhere. Unfortunately the chanterelles were not in abundance. We weren’t able to identify any of the mushrooms we did find, so nothing was kept. Mushrooms are not something to take chances with. Despite not finding anything useful, I still had a great time walking in the woods. I haven’t spent that much time in there since I was a kid. I had hoped to find enough mushrooms to make a soup. Obviously that didn’t happen, so when I got back to Montreal I made my way to Atwater Market and picked up some chanterelles and criminis. It wasn’t quite the same as picking them myself but it was still delicious. I used a recipe from Mark Bittman’s How To Cook Everything. One of the good things about not having a computer for a couple of days was that it reminded me I actually own cookbooks. If using dried mushrooms, rehydrate them by covering them with hot water and soaking them for 15 minutes. Place the butter in a large deep saucepan on medium heat. Once the butter has melted add the mushrooms and increase the heat the medium high. Cook for about 10 minutes until the mushrooms start to brown. Drain the now soaked mushrooms (keep the liquid) and add them to the cooked mushrooms. Season with salt and pepper. Add the shallots and garlic and cook for one minute. Add the stock and reserved soaking liquid. Bring the mixture to a boil. Turn off the heat. Stir in cream. Garnish with chives and mushroom slices. Mmmm — it does sound good! 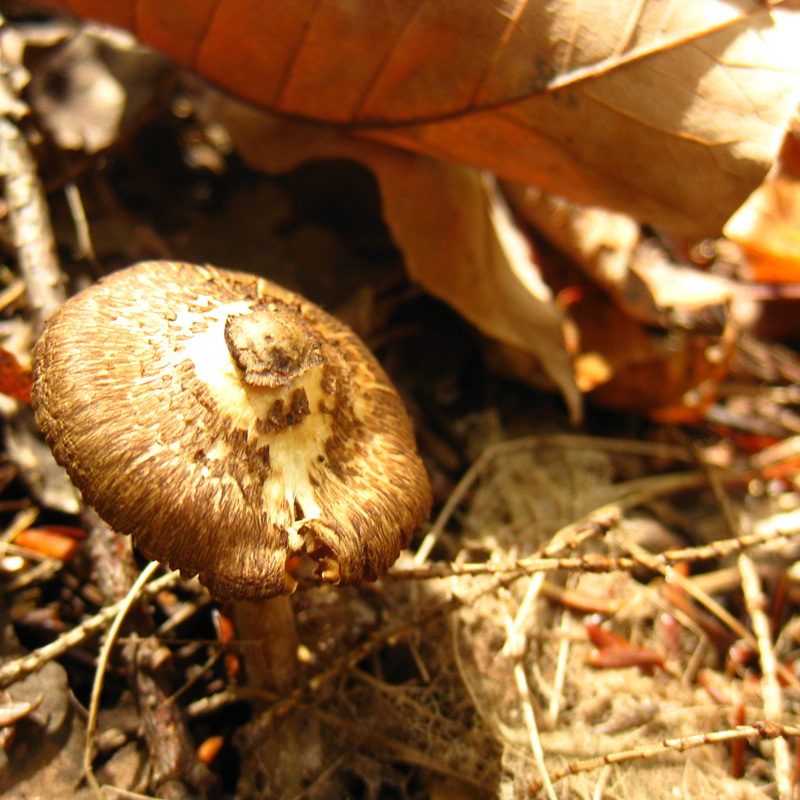 How fun that you foraged for mushrooms (though you didn’t use them) — never had the experience myself…. Montreal’s Botanical Garden offers foraging excursions. Groups of people head out into the woods with an expert who advises people what’s edible and what isn’t. Maybe there is something like that in your area! How FUN! I want to go mushroom foraging. Did you come across any truffles? Adam Gertler did an episode on foraging for truffles once on his show… it looks… well, let’s just say I’d probably be up do it once, just for fun but probably not more than that. I don’t think it’s something I will do very often, but it was a lot of fun. Sadly, no truffles. I had some roasted mushrooms this weekend and they were so delicious! I may have found a new love… I’ve never like mushrooms before now! 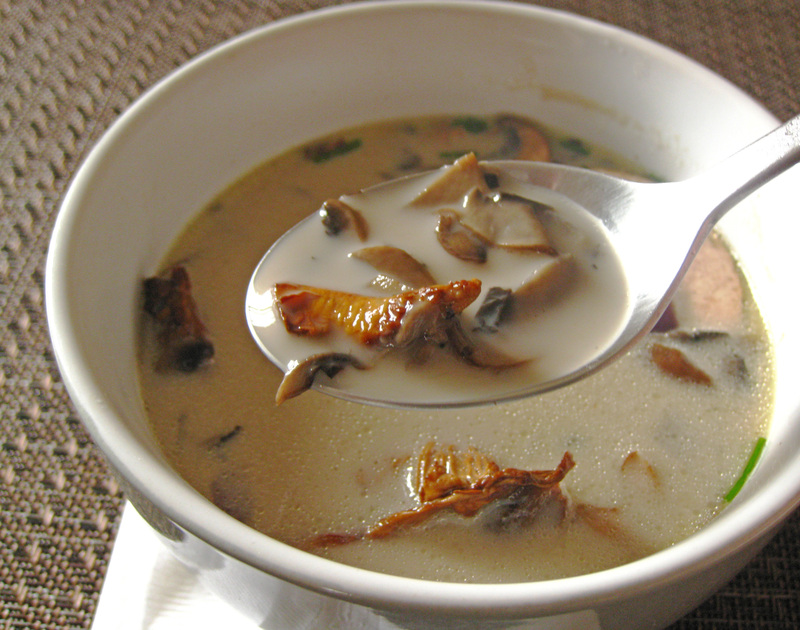 I love mushrooms and this soup looks and sounds delicious! You know as a kid, I hated mushrooms. I think it was the texture that bothered me. Thankfully as an adult I’ve come to my senses! This soup looks tremendous. Me too! I think I was a really picky kid though. The list of things I wouldn’t eat is pretty long. I love how easy it is to make soups. Don’t you love that it’s colder now and you can just whip up a whole pot of the stuff and have it all week? I am definitely saving this recipe to make over the weekend. L-O-V-E mushrooms. Oh, and great pics! Yeah! A new soup for me to try. This looks like a fabulous mushroom soup! I’m glad to have found your blog!